Currently the school runs 8 buses to cover a radius of 25 km. Children of primary school are picked up and dropped at the door step and students class 5 onwards are picked up and dropped at fixed points within 500 metre radius of their residences. Children and educators travel together. Each bus has a fire prevention equipment, first aid and an attendant as precautionary measures. 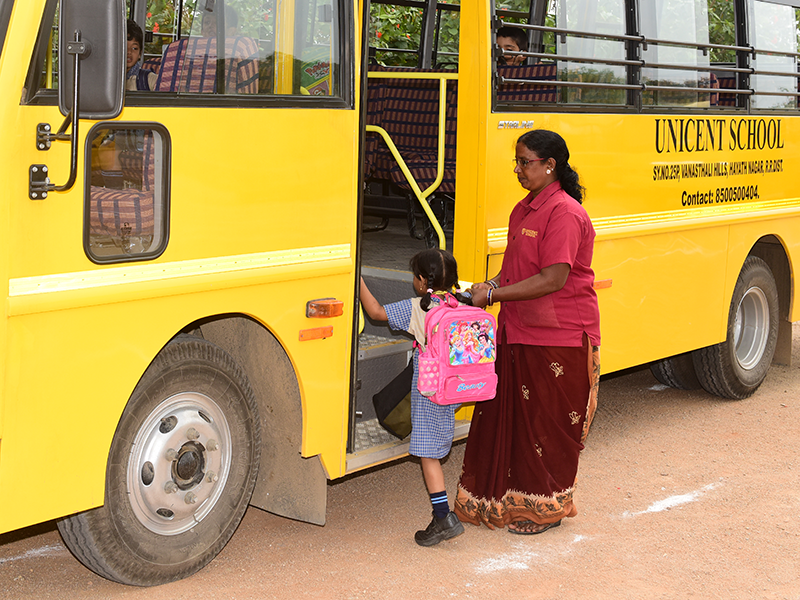 We take every measure possible to ensure that the children travel to and from school every day in a comfortable manner.